A huge jump for the Waterloo Wolves as they have played like the team that got off to such a torrid start to begin the season. The Wolves have played to a 3-0 record in the past two weeks of league play which included a win over the Jr. Spitfires. In addition, Waterloo was the lone Alliance team to advance out of round robin play at the Silver Stick. During round robin play, Waterloo secured another victory over Windsor as well. With strong play in both the Silver Stick and the Titans tournament in September, Waterloo is positioning themselves well for the Marlies coming up. While their play at the Silver Stick left the team winless through four games, Windsor showed up to the Woodstock Showcase with some business to take care of. A dominating win over Huron-Perth was following by the aforementioned victory over Brantford. Still under rated by many, Windsor has been led by Max Donoso and his 1.10 GAA. In addition, Cayden Faust has quietly been one of the best players in the Alliance over the past little bit. Windsor should be a tough out for all teams going forward. A drop from the top spot just shows the competition in the loop this season. Brantford went to Whitby and came away both winless and undefeated playing in four tie games. The biggest one begin a tie with Don Mills where Brantford had two third period leads in an attempt to snap the Flyers undefeated season. The Showcase was a rough one for the 99ers as they went winless over the weekend only managing to secure a single point against Lambton. The overall talent depth still makes Brantford the favourite heading into the stretch run, but they will want to avoid letdown games so they can get a more favourable matchup in the opening playdown rounds. Kitchener moves up a single spot as they have managed some great performances as of late. A big win over London was followed up by a special teams clinic against Chatham. Kitchener’s goaltending continues to be strong and their top line of Sikic, Crans and Sop is always an offensive threat. The Jr. Rangers are beginning to look like the team we saw at Bantam last year and that would add another interesting wrinkle into the postseason. London’s drop in the rankings hasn’t necessarily been because of poor play from the Jr. Knights rather stronger play from other teams. London skated to just a 1-1-1 record at the Showcase but a Cambridge goal with seconds remaining in the third period derailed the opportunity for a two win weekend. Brett Harrison continues to put up points at a ridiculous rate and London’s offense continues to thrive even with the absence of Jordan D’Intino. I don’t have a timetable for his return, but it could be a turning point for London’s season. Cambridge stands pat from last time and that’s hard for me to do with the way the Hawks have been playing. I don’t think anybody predicted that the Hawks would be where they are at this point in the season. Myself, I have Cambridge battling for the final playdown spot in my personal pre-season rankings. Instead of fighting for a playdown spot, Cambridge is in a position to battle for home ice in the opening round. Cambridge will ride Ben Bates in the big games and I was very happy to see him get the recognition he deserved with an All-Star nod. Chatham continues to dig their way out of the hold they made to begin the year with a poor start. The Cyclones had a rough start to Saturday after a big loss to Kitchener, but bounced back in a big way with a huge win over the 99ers on Saturday evening. Chatham now has a five point lead over Elgin with the Chiefs having four games in hand. Nicholas Mazza was a player that really stood out in Woodstock offensively as teams did their best to shut down Deni Goure. Quite the drop for HPL as they weren’t able to garner much success against other higher rated teams in the Alliance. A slow start against Windsor was hard for the Lakers to come back from while their win against Lambton came thanks to a strong third period. HPL is still in need of some more secondary scoring as Camden Daigle’s incredible pace to begin the year has slowed. Chet Hudson and Ben Tenhag both showed signs of heating up over the past weekend. It has been a rough go as of late for the Chiefs. Elgin was just 1-3-1 over the past couple of weeks which included a loss to Sun County and playing Hamilton to a scoreless tie. Results like those are making the gap between the Chiefs and the Cyclones in the standings larger and larger. Elgin, much like Huron-Perth, is another team that needs to spread out the scoring more as both Omar Hage and Max Beckford have been playing very well as of late, but have not gotten the offensive support. The Jr. Sting are a team that I believe, as I watch them more and more, has a lot more offensive upside than we have seen this so far this season. Players like Braydn Santavy and Carson Peer have been all over the offensive zone in my viewings and Ethan Matthews has really impressed as a steady D with offensive capabilities. Lambton thrives in physical games and their struggles will come against faster teams. Their game with Brantford on Friday showed they are more than capable of hanging their own against very skilled teams when they put it all together. Hamilton will no longer occupy the final spot in these rankings as they had a really great Showcase weekend. Hamilton went 2-0-1 over the weekend, tripling their win total for the entire season in the process. Both Riley George and Michael Raffay were strong in goal and Jacob Bramwell began taking over parts of the games I was watching. Far from contention, Hamilton can still put together a strong end to the season and possibly play the spoiler role. Of Hamilton’s three wins this season, two of them have been over the Sun County Panthers. SCP went a rough 1-5 over the past two weeks as they continue to struggle. Boasting the most goals allowed and the least goals scored on the season, the Panthers have seen both Blake Boudreau and Josh Cyrenne continue to play well and gain more notoriety around the league. SCP has a chance to go on a strong run with their next three games against Elgin, Lambton and Cambridge. 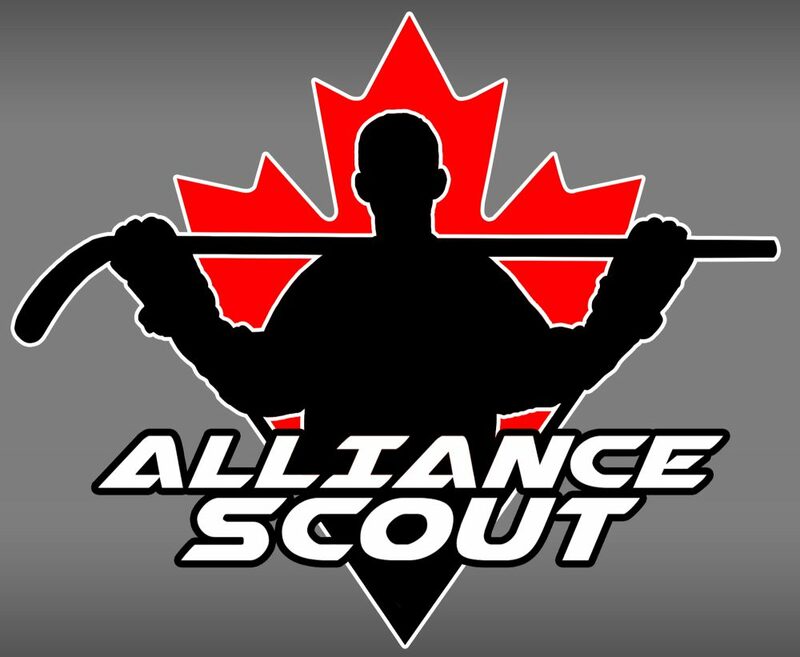 This entry was posted in Alliance Rankings, alliance showcase, Brantford 99ers, Cambridge Hawks, Chatham-Kent Cyclones, Elgin-Middlesex Chiefs, Hamilton Huskies, Huron-Perth Lakers, Kitchener Jr. Rangers, Lambton Jr. Sting, London Jr. Knights, Sun County Panthers, Waterloo Wolves, Windsor Jr. Spitfires and tagged ben bates, ben tenhag, blake boudreau, bradyn santavy, Brantford 99ers, brett harrison, cambridge hawks, camden daigle, carson peer, cayden faust, Chatham-Kent Cyclones, chet hudson, deni goure, don mills flyers, elgin-middlesex chiefs, ethan matthews, hamilton huskies, huron-perth lakers, jacob bramwell, jordan d'intino, josh cyrenne, Kitchener Jr. Rangers, lambton jr. sting, logan crans, london jr. knights, marko sikic, matt sop, max beckford, max donoso, michael raffay, nicholas mazza, omar hage, riley george, sun county panthers, toronto marlies holiday tournament, waterloo wolves, whitby silver stick, windsor jr. spitfires by Dave Coulson. Bookmark the permalink.